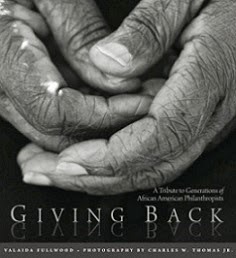 Via Press Release: ClubCharity.com (http://www.clubcharity.com/), an online auction site for celebrity and corporate charitable giving founded by CharityBids.org and visionary entrepreneur and BET founder Robert L. Johnson, recently announced its launch in Canada through a partnership with Toronto Blue Jays centerfielder Vernon Wells. To kick off the partnership, ClubCharity.com is auctioning a Toronto Blue Jays helmet signed by Wells and covered in Swarovski crystals. 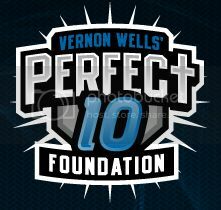 Proceeds will benefit Vernon Wells’ Perfect 10 Foundation, www.vernonwellsfoundation.org, supporting single mothers and children in need. Leveraging the Charity Bids platform, ClubCharity.com is a multi-faceted auction site featuring items from celebrities, athletes, artists, and corporations to support numerous charitable causes. Built by a team of longtime volunteer fundraisers, Charity Bids offers a secure, user-friendly, customizable solution to run fully branded auctions online, making it simple to find, bid on, and buy one-of-a-kind, unique auction items. Auctions can be displayed on multiple web properties simultaneously, allowing charities, corporations, and their affiliates to promote the same auction across multiple sites in a seamless, branded way – creating infinite fundraising opportunities, and maximizing exposure via the web. 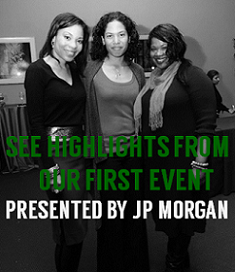 In addition to Vernon Wells’ crystal-encrusted, autographed helmet, current auctions include: Holly Robinson Peete's custom-made wedding dress benefiting the HollyRod Foundation, a vacation for 8 at Bob Johnson's Covecastle Villa in Anguilla, West Indies benefiting the Media Access Project, a painting featured in an Alicia Keys video benefiting The Lincoln Rising, and many more. Visit www.clubcharity.com to view these and other auctions now.